There is a relatively new field of scientific research devoted to studying the physical phenomena that take place in the atmosphere in close interaction with the Sun and its variable activity. This field has been denominated by space weather, and it includes a lot of interesting and complex phenomena currently poor understood that are waiting for sensitive instruments and adequate physical models. Fortunately, activities such as the United Nations Basic Space Science Initiative (UNBSSI) through the Committee on the Peaceful Uses of Outer Space and the United Nations Office for Outer Space Affairs (UNOOSA) have provided over more than two decades a huge amount of support to establish regional centers for space science and technology in developing countries. Moreover, the United Nations initiative has played a pivotal role in organizing the scientific community around the world through the realization of space-science schools, symposia, and annual UN workshops such as those under the auspices of the International Space Weather Initiative (ISWI). These events have facilitated communication between space-science students, engineers, and scientists, enabling agreements for educational programs, deploying instruments in new regions, and enhancing international cooperation in research projects. The United Nations Space Weather Initiative (UNSWI) has involved leading scientists from around the world, who have participated in three meetings to follow up activities from the successful International Heliophysical Year 2007 (IHY). The first ISWI Workshop was hosted by Helwan University, Egypt, in 2010, for the benefit of nations in Western Asia. In 2011 the United Nations/Nigeria Workshop was hosted by the Centre for Basic Space Science of the University of Nigeria at Nsukka, for the benefit of nations in Africa. The third ISWI workshop was hosted by Ecuador in 2012 for the region of Latin America and the Caribbean. At the Ecuador workshop key decisions were taken in order to give continuity to future activities in space science, technology research, and education. We took advantage of that workshop to promote space-science studies in Ecuador, starting with the creation of a new station supported by the Quito Astronomical Observatory of the National Polytechnic School. The new station began with the operation of the AWESOME instrument provided through cooperation with Stanford University (USA) and with the MAGDAS instrument provided by Kyushu University (Japan). 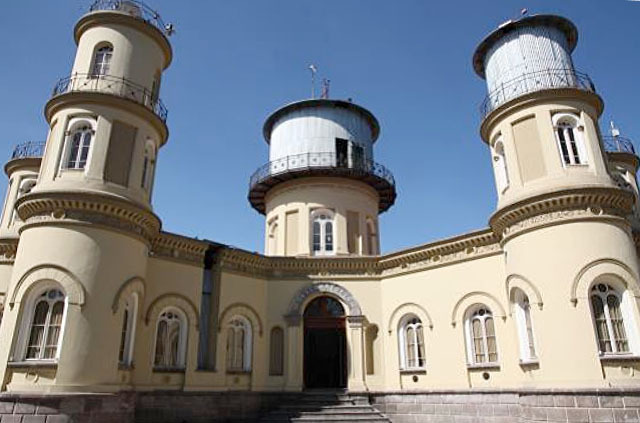 This new Ecuadorian station, Solar Physics Phenomena, is now established as a division of the Quito Astronomical Observatory. Ecuador is located in a strategic geographical position where solar-physics studies can be performed year-round, providing data for the scientific community working to understand Sun-Earth interactions. We invite leaders from other scientific projects to deploy their instruments in Quito and to join us in supporting our new strategic research center. Note: The proceedings of the UN Ecuador Workshop on the International Space Weather Initiative (ISWI), edited by E. D. Lopez and S. Gadimova, are published in the open-access journal Sun and Geosphere, Vol. 9 (2014), Nos. 1 & 2.